Even in a profession where we interact with the general public daily, it can be tricky for librarians to assess how much other people know about what we do, and what libraries offer – which is why it is so delightful to see an article by a non-librarian raising awareness of a service libraries offer. In “Why the Public Library Beats Amazon – For Now” in the Wall Street Journal, Geoffrey A. Fowler praises public libraries across the country, more than 90% of which offer e-books (according to the Digital Inclusion Study funded by the Institute of Museum and Library Services). Noting the rise of Netflix-style subscription platforms like Oyster and Scribd, Fowler observes that libraries still have a few key advantages: they’re free, and they offer more books that people want to read. 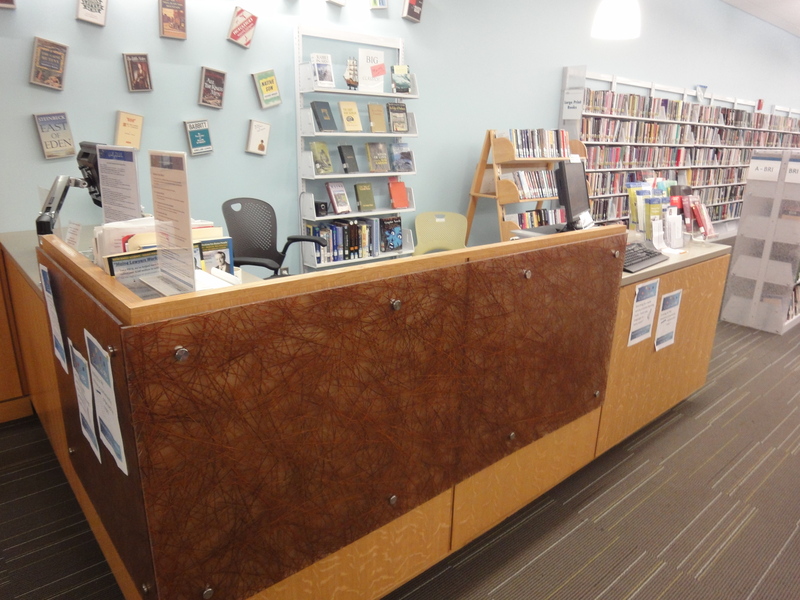 Readers’ advisory desk at the Portland (ME) Public Library. Another way in which the library differs from for-profit book-rental platforms is that, to put it bluntly, the library isn’t spying on you. If you’re reading a Kindle book, Amazon knows how fast you read, where you stop, what you highlight. Libraries, on the other hand, have always valued privacy. The next time you’re looking for an e-book, try your local library – all you need is your library card number and PIN. still waiting for my ebook from the library.